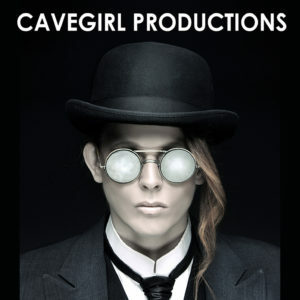 Cavegirl Productions (cavegirl.com) is a Washington, DC-area independent film, tv and internet media production company. In addition to 13 short films, Cavegirl Productions produced the dramedy feature film about tabletop roleplaying gamers, OF DICE AND MEN (ofdicemen.com). OF DICE AND MEN is now available on Amazon Prime. Cavegirl Productions also co-produced the award-winning fantasy web series pilot, THE BROKEN CONTINENT (getbroken.tv). Founded by filmmaker Kelley Slagle in 2004, Cavegirl Productions also counts contracts, business and entertainment attorney Seth C. Polansky on its team. X-Ray Films produces documentaries celebrating geek culture and the stuff we love. Fast and fun, honest and fair, full of energy and adhering to the highest journalistic standards, our work strives to not only give all the facts, but to tell of a hell of a story at the same time. X-Ray Films’ first documentary, Plastic Galaxy: The Story of Star Wars Toys, was released in 2014 to critical and fan acclaim. It’s available on most major streaming outlets, including Amazon, iTunes, Hulu, XBox, and Playstation, via the distribution company Gravitas Ventures. X-Ray Films was founded by Brian Stillman, a documentary producer with more than two decades experience as a professional journalist. More interestingly, he’s also a die-hard science fiction fan, gamer, and toy collector. He and his wife, the animator Mary Hawkins, live in NYC under the merciless rule of their cat, Calamity.